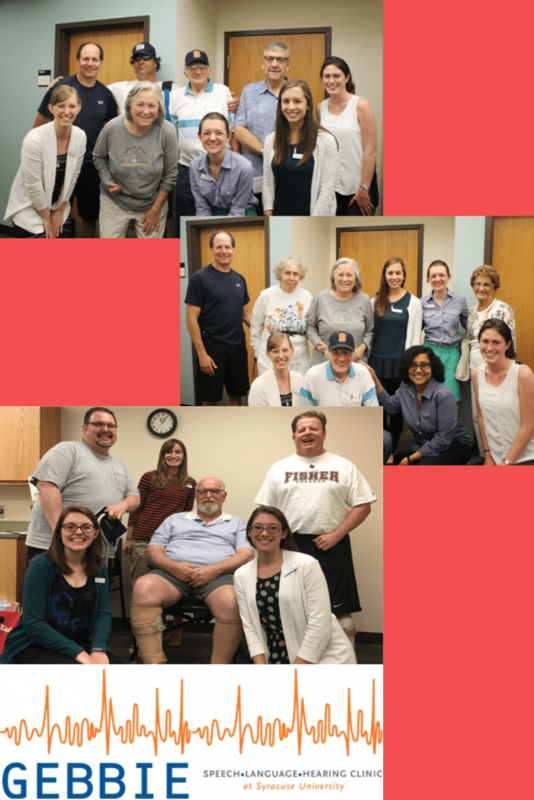 We are from the Group Aphasia Program (GAP) at the Gebbie Clinic on the Syracuse University campus. During a recent session, group members with aphasia and the graduate student clinicians under the supervision of their clinical supervisor created a brochure in an effort to raise awareness about aphasia. At Gebbie, we are so thankful for the contributions of all of the group members in making this brochure. They are a bunch of wonderful people with great ideas to educate others about aphasia!